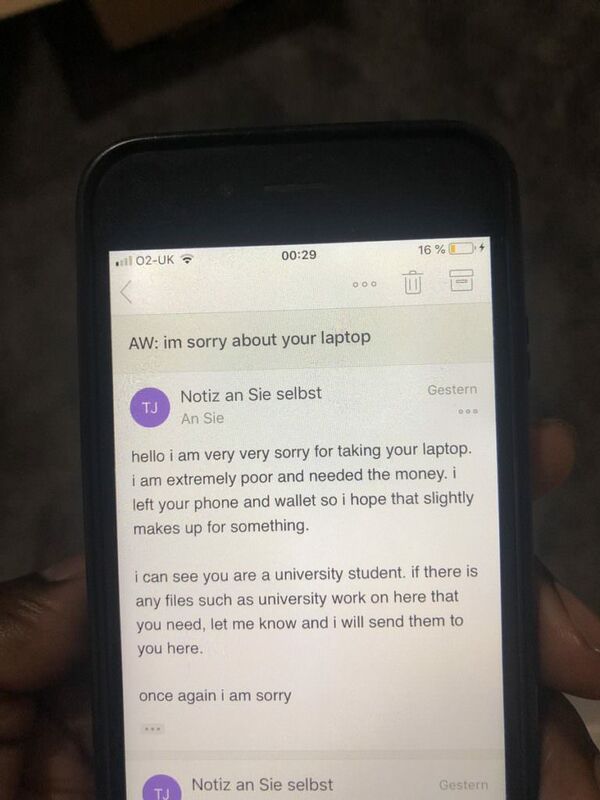 The last thing anyone would expect after getting their laptop stolen is an email from the thief themselves, but that’s exactly what happened to college student Stevie Valentine. After receiving the message, Stevie posted it on Twitter, and it went viral shortly afterwards, receiving 26,000 Likes and thousands of comments. Like anything on the internet, there are those that actually like the thief, while others say extreme poverty doesn’t justify any type of crime. Read more to see the full message.